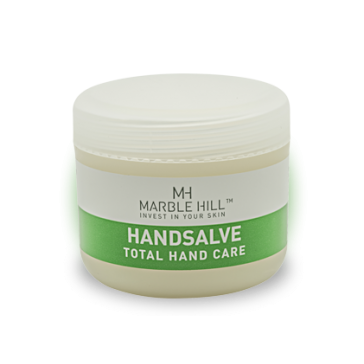 Marble Hill HandSalve offers moisture care for skin that is sensitive to chemicals and additives. HandSalve is created using pure, cold-pressed Argan Oil and premium grade Natural Shea Butter. The salve is absorbed deeply into the skin and helps provide waterproof barrier with regular use. 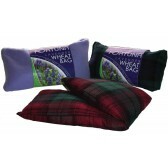 It contains no allergens, lanolin, no drying mineral oils or petroleum jelly. With Vitamin E for ongoing ultra-intense protection. 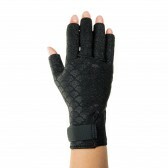 Apply a small amount of HandSalve to your hands as often as needed, massaging in thoroughly. Only a small amount is needed as HandSalve contains no water and is 100% concentrated. 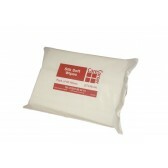 Apply after washing, or at the beginning and end of the working day. If your hands are severely cracked or chapped, use cotton gloves after application to encourage absorption and see the difference. Use regularly for maximum benefit. 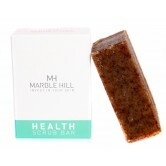 Marble Hill, based in Northern Ireland, develop and manufacture a range of unique and luxurious skin care products that are 100% natural using sustainably sourced ingredients and natural spring water from their own well in Co.Donegal. The Marble Hill product range has proven beneficial to the wellbeing of many customers, leaving skin feeling fresh, invigorated and moisturised. Customer testimonials show that the range has also helped in alleviating the irritation caused by skin conditions such as Dermatitis, Eczema, Psoriasis, Athletes Foot, Dry Skin, Acne, Dandruff and other skin malaises. The company started through the passion and vision of CEO, Dr Maria McGee, who's main focus is customer satisfaction. The entire Marble Hill range can be used safely by any gender or skin type (although there is always exception to any rule and therefore we do highly recommend a patch test on a small area of skin 24 - 48hrs prior to full application).